I met this team personally at London Investors event. They were solid in presenting the concept. I liked the idea and their MVP. Hotel booking has a valid usecase of Blockchain. Great social media presence with a great set of Medium articles. MVP available - it's good. Need add Medium and PR for your project. Thank you very much for your rating and feedback. We appreciate you taking the time to highlight your points. I do believe we have a well rounded team who bring a wealth of knowledge from the Hotel, Online Travel Agents (OTAs), Marketing and Blockchain industries. I have been involved in the hospitality sector for more than 10 years dealing with numerous hotel chains around the globe. Tejvinder Bhuller who is a Co-founder and COO has been working in the hospitality line for more than 15 years. Justin Lim who is Co-founder and (CGO) has been working with one of the biggest digital marketing agencies in the world and has 13 years of experience under his belt. Chan Huan Gee has been involved in the Online Travel Agency business for more than 20 years. Most recently, he was the country director for Agoda (which is one of the largest OTAs in the world) until he retired in December 2017. Regarding experts in the field, we have a sound advisory board. Louise Daley who is the current Deputy CEO of Accor Hotels, Maria Nakpil who was the Vice President of E-commerce at Hilton Hotels, Trond Vidar who is a travel technology expert, Subhajit Mandal who is a director at Metlife Innovation Centre (He spearheaded a blockchain project with Metlife and is a keynote speaker at blockchain conferences in Asia), Rhenu Bhuller who is a Partner and Senior Vice President at Frost & Sullivan, Andras Kristof who is the CTO at Yojee Limited and has a strong presence in the blockchain world here in South East Asia and Amarpreet Singh who is Senior Advisor of Global Blockchain Foundation and Head of Strategy & Business Development of TokenAsia. I would greatly appreciate if you could review our team in more detail and reconsider your evaluation for our team. Being a traveler myself, I love their vision. Hotels and travel booking platforms have always gotten away with charging what they could. But if Goeuraka can do what they have set out to, I think it will be a very big win for the travel industry in general. MVP is easy to use and functional. This team is excellent but compact against the scale of the project. The market is huge, but with the advancement of technology the language barrier is collapsing. Also, there is no clear description of credit card companies that can be used. 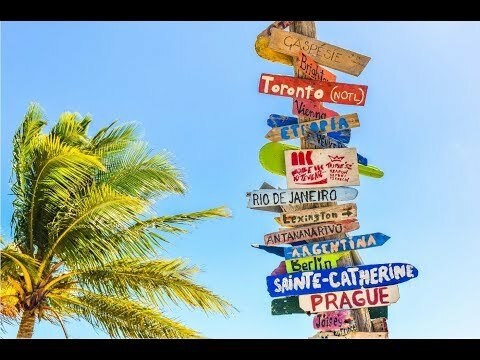 Travel and booking is a real usable market referred to a B2C target, I appreciate and I personally believe that is a good point to accept cryptocurrencies as method of payment, good luck! Looking at the industry this project is penetrating, it surely is huge. The challenge comes in two areas. Adoption and blockchain utilization. The hotels as a business should benefit by the transparency of its clients the same way a the client should benefit by the discounts provided. The team am sure it will expand with proper funding so am not really concern with that at the moment. Thank you for taking your time to rate our project. I understand you rated our project when we listed on icobench initially and we did not furnish much information nor did we have any of our community channels up and running. I hope you will be willing to review our project in more detail now and reconsider your initial ratings. Please feel free to share your feedback and I will be glad to respond to any enquiries you may have. Indeed, industry of tourism and travel and therefore online booking is huge and growting. From one side, blockchain will throw out middleman in this field, from other - there are huge "middelman" brands like Booking.com etc, that own significant part of market and also can transform in blockchain-based companies, when regulation will allow it without significant legal risks. So, as I understand, you making booking.com in 2018 with crypto-loyalty system. It is very complex to reach out to market. But of course all is in hands of team. Besides this, I have some questions about token economy. There is mentioned silver, gold etc status with discounts. But of course, discounts are made not by platform, discounts are made by end service providers (hotels). Is hotel from USA interesting in making significant discounts to customers, that earn their points/status in UK hotels? This will be not reward for loyalty in concrete hotel brand/group, but it is reward for all platform usage. And also I didn't find any information about GO debit card issuer, mechanism of working with cryptocurrency exchanges, supporting liquidity etc. This is also very important for project success because it provides adoption. Thank you very much for your rating. Just to clarify, We are creating a marketplace for hotels to connect to, where customers will be able to book directly with these hotels thereby creating more transparency. We are positioning ourselves as a technology partner as opposed to an Online Travel Agent and we are also white-labeling hotel brands on our website and app. 1) For a company like Booking.com to directly compete with us would mean they need to scale down their business tremendously. It is not feasible for them to do so seeing their revenue model is purely based on charging commissions to hotels (10-30%). For them to scale down their business to a level where they charge 0% commissions is simply not viable. They even charge hotels to show up higher on the search results (something GOeureka is not going to do. Instead, we will base hotel ranking on customer feedback and the amount of features that are provided to customers). 2) It is not going to be easy for hotels to accept crypto currency payments directly. Therefore, for bookings that are made via cryptocurrency, Goeureka will carry out the conversion from Crypto to Fiat and pay out the hotels (with no commissions charged). We will also be accepting payments via Credit cards and our GOT token. Any booking made via credit cards and other cryptocurrencies will be charged a 5% transaction fee. The benefit of using our token is that the customer will not be liable to pay the 5% transaction fee and will be able to access further discounts for hotel rooms that are connected to our platform. 3) The online booking industry is heavily dominated by Online Travel Agents (OTAs) such as Booking.com, Agoda etc. Hotels are not happy to be paying out such high commissions on a yearly basis to these OTAs. At the same time, while the OTAs do contribute to room bookings, they also make hotels sign (Rate-Parity) agreements where hotels are not allowed to display cheaper rates on their own website compared to what is being displayed on the OTA website. OTAs crawl websites of hotels every second to see if any hotel is advertising a cheaper rate. If the hotel does, they get penalised. One of the penalties is to demote the hotel to the bottom of the search results. Although Rate-Parity agreements have been outlawed in the EU, it is still very much in force in most places. OTAs will not be able to claim Rate- Parity on our platform as it is a 'Private Platform'. Another factor is sharing of data. When a customer books a hotel via an OTA, only a limited amount of data is shared. What hotels are after is the customers email address so they can direct market to the customer in the future. The OTAs do not furnish this information which is a big problem because OTAs contribute between 40-70% of rooms bookings for hotels. Imagine if a hotel owner receives 70% of their bookings from an OTA and they don't have access to full information of 70% of customers who walk through their door? Another point to note is the high commissions being charged by Online Travel Agents (OTAs) (anywhere from 10-30%). Prices of hotel rooms have increased because hotels need to factor these commissions into their room pricing structure. While hotels are reliant on OTAs to offload inventory, they would phase them out given the opportunity. We are presenting this opportunity to the hotel industry and we have received a very positive response from the hotels we are dealing with. Our token will be utilised to access discounts for hotel rooms on the GOeureka platform and to facilitate the interoperability of hotel loyalty rewards. Every hotel knows the fiat value of their loyalty reward point and we are working on a solution for customers to convert their existing hotel points to a fiat value (GO credits) and utilise these credits towards a room booking at another hotel on our platform. We aim to launch a Co-Branded Debit card with an existing company within the blockchain space. We will make an announcement once we decide who we are going to partner with. A solid hotel booking platform on the blockchain to skip the middle man is long needed, but competition is stiff - so reducing the cost is ok for providers, whats the offer for consumers to jump on your platform? There are some other projects that have a more global vision and team and with a more focused product and global partnerships may be able to scale faster. Team : looks awesome with lot of experience and experience in industry. Vision : One of the best project if realised. The hospitality industry needs this. product was awesome found easily on website. only issue the amount they are raising. The team seems small, but well experienced. The project and overall vision seems like a great idea! The ability of spending cryptocurrency for goods/services is always a plus for the community as a whole. Not sure if giving away free hotels for life is a good use of the publics funding. Idea is simple and doesn’t seem to have many barrier to entry for competition. Per the website, they already have hotels lined up, so I’d be open to trying it out once the platform is fully functional.